Phoenix Lindsey-Hall's most recent work is a visual exploration about lesbian, gay, bisexual, transgender and queer hate crimes. 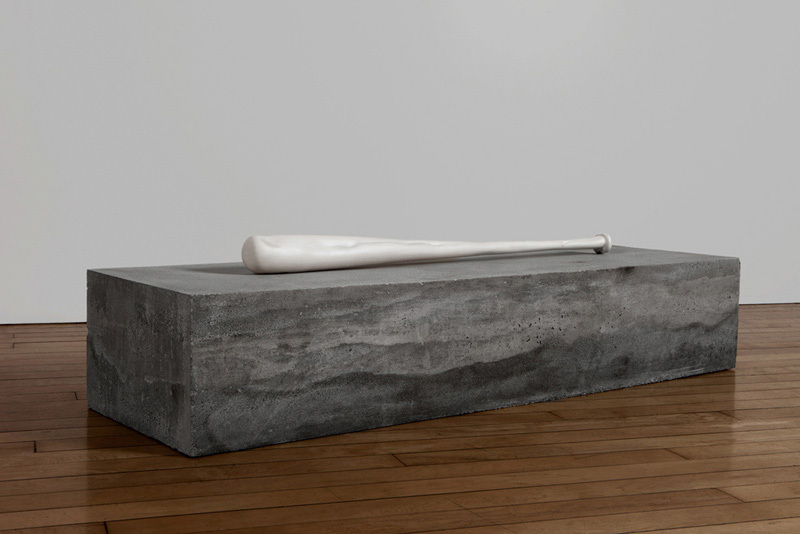 Using mixed media, including ceramic slip, concrete, and found materials, Phoenix transforms everyday objects that have been used as weapons in specific hate crime cases. Similar to crimes of passion, these makeshift weapons are banal objects, such as a hammer, bat or skillet. They point to the urgency and intimacy in the act of violence as blood and sweat merge in struggle. Phoenix casts these artifacts in unglazed ceramic slip, allowing the scars from the making process to remain on their surface. 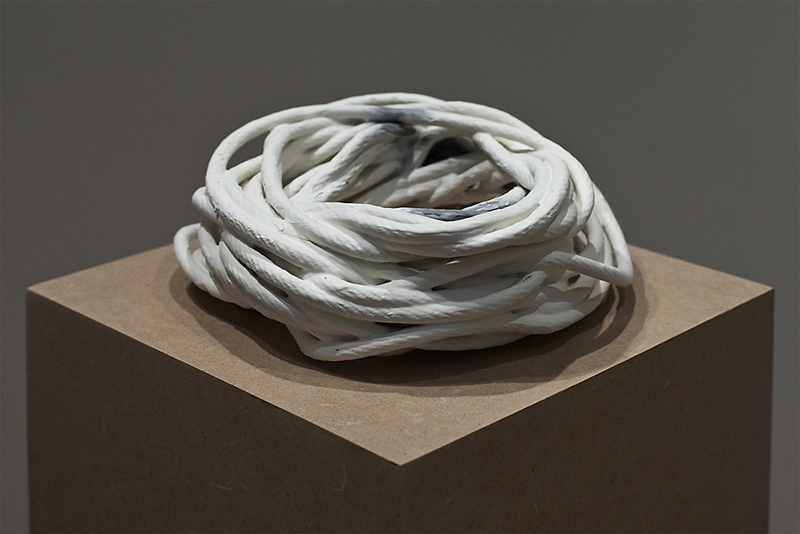 Clay becomes skin as she presses into the surface, intentionally deforming the object while it is still wet and malleable. The twisting, bending and ultimate undoing of the body is transferred to the objects. The disturbance of everyday objects calls into question the system in which they exist. Exploring themes of violence, loss and the dangers of domestic spaces, Phoenix's work points to the fragility of life not just for sexual and racial minorities, but for us all. Phoenix Lindsey-Hall is a mixed media artist who earned a MFA in Photography from Parsons The New School of Design in 2012 and a BFA in Photography from Savannah College of Art in 2004. Lindsey-Hall has shown in various galleries in New York, NY, Philadelphia, PA, Louisville, KY, Savannah GA and in Pingyao, China. She was recently in a year-long residency program at Gallery Aferro and a participant in the Emerge Program with the Aljira Center for Contemporary Arts in Newark, NJ. Her artwork centers on themes of violence, sexuality and domesticity.